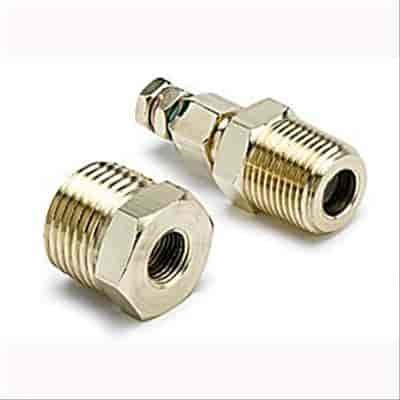 Sender and fittings for electric temperature gauges with 3/8'' and 1/2'' to 1/8'' NPT adapters. This sender will only work on pre-1995 gauges with a distinctive black mask on bottom of lens. Auto Meter Replacement Senders and Sensors provide convenient maintenance to your Auto Meter gauges. These replacement parts keep your gauges running correctly and accurately.